OM5 LC LC Fiber Patch Cable | 100G WB-MMF Duplex 50/125 Multimode Jumper | Length Options: 1-10M. 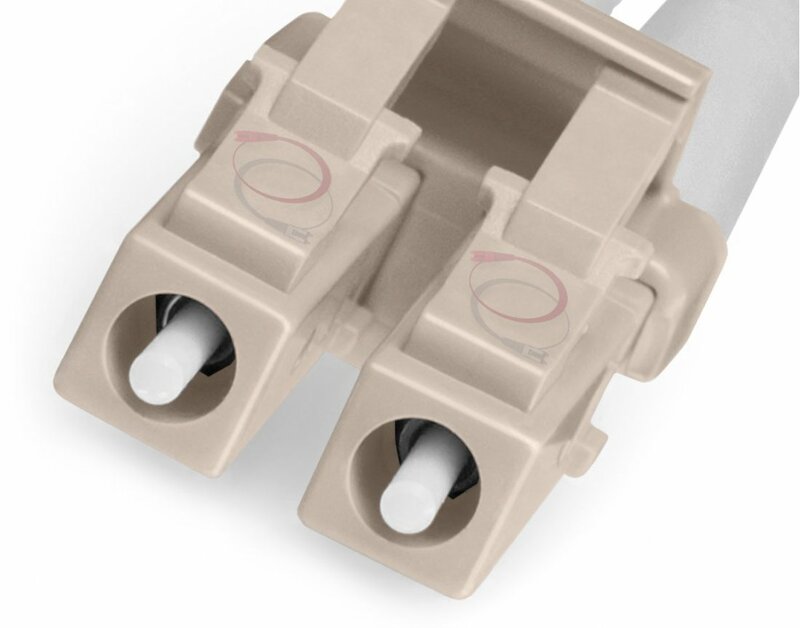 Assembled with Corning 50/125um, laser optimized, Wideband Multimode Fiber (WB-MMF) and comes pre-terminated with duplex LC to LC connectors. OFNR riser rated, lime green, zip-cord reinforced, 2.0mm o.d., flame retardant, water resistant and UV resistant jacket. Optical Mode Type OM5 LOMMF, Wide Bandwidth Multimode Fiber (WB MMF), Supports SWDM - 50/125um core/cladding | 100G GbE 100GBase-SR10 150m, 40G GbE 40GBase-eSR4 QSFP+ 550m, 40Gb GbE 40GBase-SR4 150m, 10G GbE 10GBase-SR 400m, 1Gb GbE 1GBase-SX 550m (w/mode-conditioning). 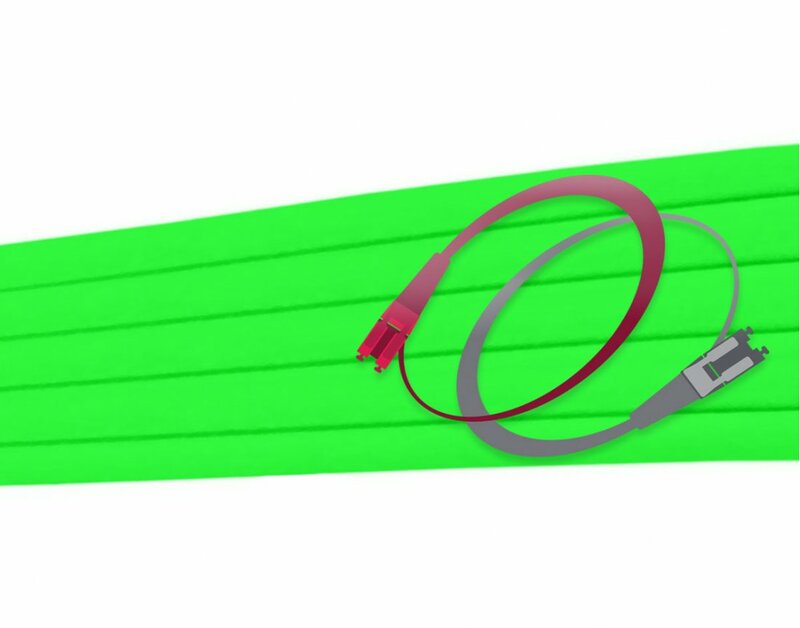 Jacket Color Lime Green - This is the standard jacket color for OM5 multimode fiber jumper cords / fiber patch cables. Length Options 1 Meter, 2 Meter, 3 Meter, 4 Meter, 5 Meter and 10 Meter. 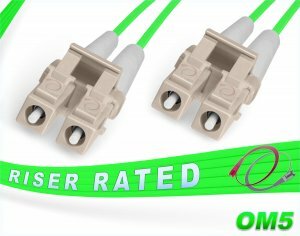 OM5 LC LC Fiber Patch Cable | 100Gb Wideband Multimode Fiber (WB MMF) Duplex 50/125 Jumper Cord. Accelerate your network's performance to the edge of technology with this Corning 50/125um core/cladding, laser optimized, om4/om3 backwards compatible, 1/10/40/100Gbps, OM5 multimode fiber patch cord. WB MMF for VCSEL (vertical cavity surface emitting laser) transmission across the 846 to 953 nm wavelength range. 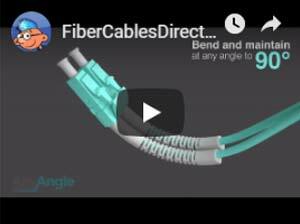 Supports Shortwave Wavelength Division Multiplexing (SWDM), a technology that can reduce the number of required transmission cables up to 8 times. 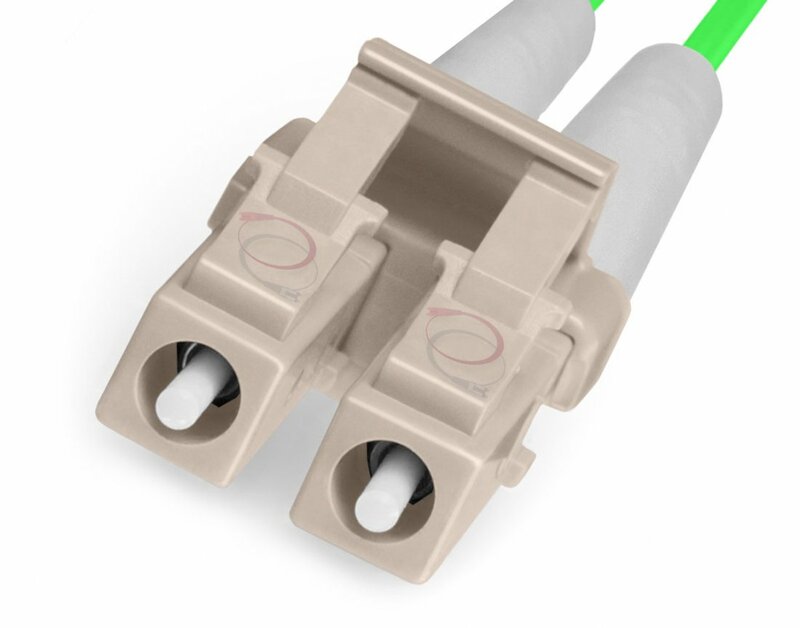 OM5 jumpers are lime green to help distinguish them from OM4/OM3 aqua and OM2/OM1 orange jacket fiber cables. A durable, 2.0mm outer diameter, UV resistant, water resistant, fire retardant fiber patch cable that is immune to electrical interference and has has an operating temperature range of -20°C/+60°C. Pre-terminated with duplex, small form factor (sff), 1.25mm ceramic ferrule, LC connectors (including pre-installed duplex lc clips). Every fiber optic patch cable FiberCablesDirect ships is individually tested in accordance with ANSI/TIA/EIA-455-171-A- 2001 attenuation standards by a qualified fiber optic technician and carefully packaged with test results. We provide 6 popular length options in our online catalogs between 1 and 10 meters that can ship the same day. Expedited Next Day, 2 Day, 3 Day, Ground and other delivery options available from USPS and UPS. FedEx service options also available for international orders.